Number of seats vacant in Tamil Nadu Assembly have increased to 22 after AIADMK MLA R Kanagaraj passed away. 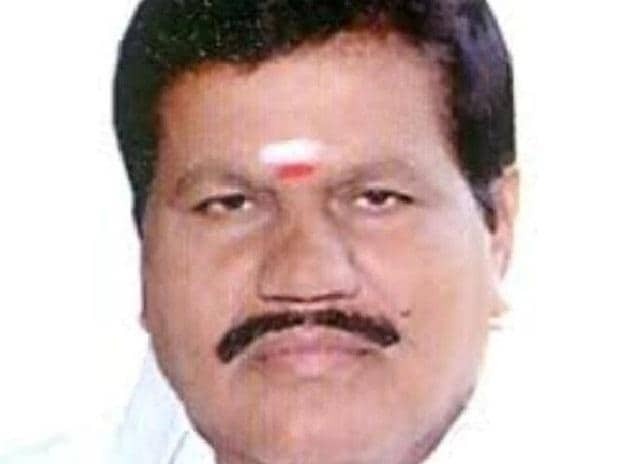 The sitting MLA from Sulur in Coimbatore district passed away following a cardiac arrest. The by-election to Tiruvarur seat was necessitated by the death of sitting member and former Dravida Munnetra Kazhagam chief M Karunanidhi last year. The Hosur seat fell vacant following the disqualification of minister K Balakrishna Reddy after his conviction in a criminal case. The other constituencies fell vacant after 18 MLAs were disqualified by the speaker after they switched camps and decided to go against the ruling faction. AIADMK's current strength, including Kanagaraj, in the Assembly is 114, excluding the Speaker. This is a comfortable majority in the present house strength of 213 as the halfway mark is 107. But if the by-elections are held and the 22 vacancies are filled, the ruling party will need at least three more members to reach the halfway mark of 117 in the house with its full strength of 234 and the Speaker can also vote in case of a tie. However, three AIADMK MLAs -- E A Rathinasabapathi (Aranthangi constutiency), A Prabu (Kallakuruchi) and VT Kalaiselvan (Virudhachalam) -- are openly supporting Dhinakaran. Two other allies -- Thamimun Ansari (Manithaneya Jananayaka Katchi) and Karunaas (Mukkulathor Pulipadai) -- who have contested with the AIADMK symbol, have opposed the AIADMK as it is allying with the BJP for Lok Sabha polls. Back of the envelope calculation shows, AIADMK got support from only 109 MLAs at present. It requires eight more seats to complete the five year term, which will end in 2021.